Heating your home has never been cheap, but new technologies can help cut the costs substantially. 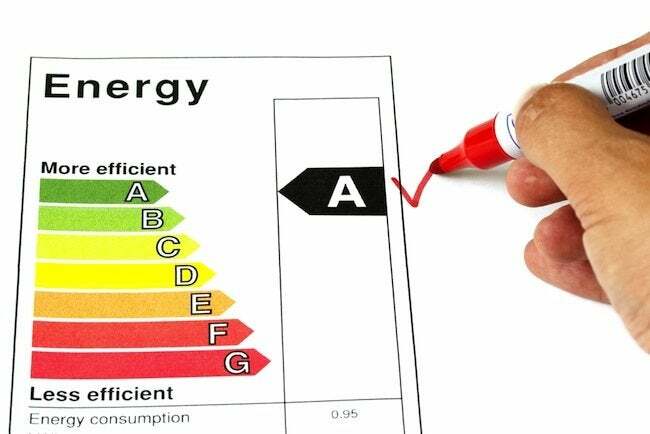 When considering the best way to bring warmth into your house, think of the four “E’s”: energy, efficiency, economics, and environment. You’ll want to choose a type of energy source that’s not only available in your area, but also fits with your ethos and needs. You’ll want to make sure your chosen heating system is efficient and suits your economic situation. And you’ll want to choose a system that creates a pleasant internal environment for you and your family. Here are a few ways to balance these four “E’s” when you’re choosing the best method for heating your home. Programmable Thermostats: A simple and affordable way to make your existing heating system smarter is to replace the old thermostat with a programmable one. This will enable you to create different heating schedules for different times of the day or different days of the week. For example, if no one is home during the day, it doesn’t make sense to keep the house as toasty as you like it in the evening when the house is occupied. 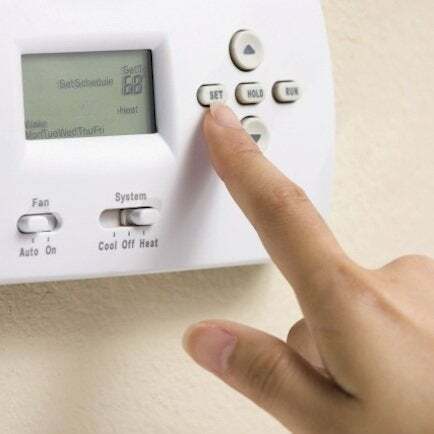 Once you establish your desired settings, a programmable thermostat will automatically adjust the temperature without requiring you to remember to turn it up or down.Keep in mind, however, that extreme fluctuations in your thermostat settings can cause your furnace to work harder and can actually decrease efficiency, so be sure to keep the settings within a reasonable range. Zoned Heating: The ability to heat different areas of your home to different temperatures is called zoned heating. You can set up different zones in a number of ways, depending on what type of system you have. Typically, multiple thermostats are used to adjust individual temperature settings for each room. This enables you to turn down thermostats in areas of your home that aren’t frequently used, which saves energy and money. Zoned heating can also remedy the problem of hot and cold spots in your home. For example, if the second floor of your home is always 10 degrees warmer than the first floor, or if the room above the garage is always 10 degrees cooler, then zoned heating is a smart solution. Hybrid Furnace: If you live in a climate where temperatures occasionally get below 30 degrees Fahrenheit, then a hybrid, or dual-fuel, system will most likely save you money. A hybrid furnace is like a hybrid vehicle in principle—it uses electricity as its primary source of power but then kicks in another fuel source when higher demands are placed on the system. The primary source of heat for a hybrid furnace is an electric heat pump, which is more energy efficient than natural gas, propane, or oil. Heat pumps, however, don’t perform as well when temperatures drop below 30 or 40 degrees Fahrenheit. At such temperatures, a hybrid furnace will automatically switch from the heat pump to another fuel source to balance efficiency and effectiveness. Radiant Floor Heating: There are different types of radiant floor systems, but they all work by heating your floors from underneath, creating a home environment that is heated evenly and quietly without drying forced air or clanging baseboards. In general, radiant floor systems are more efficient than traditional setups, but not all systems are created equal. Many radiant floor systems can tie into your existing furnace, but if you don’t have an efficient furnace, you’ll lose some of the eco-friendly benefits of radiant heating. The level of conductivity in the radiant panels themselves is also an important factor in radiant heat performance. The new Total Warmth System from Warmboard solves both of these issues by providing a complete package that includes a heater, superefficient floor panels with superior conductivity, and wireless thermostats for each room that allow you to take advantage of zoned heating by adjusting the temperature just how you like it, where you like it. The Total Warmth System also wins points because it was designed with ease of installation, affordability, and energy efficiency in mind. Solar: Although the upfront investment can be fairly high, solar heat is certainly a smart choice because it is a clean renewable resource. The problem is that there are a lot of variables that come into play, so it isn’t ideal for all situations. Depending on your particular application, you will need to consider a number of factors, such as the amount of unobstructed sun that hits your home, how much space you have available for the solar thermal collectors, whether or not you’ll want to heat your water, the type of backup system you’ll need, the type of collectors you’ll need, storage tank size, and whether you’re going with passive or active solar heating. The bottom line is that solar power is very smart, but there’s no straightforward, one-size-fits-all, out-of-the-box application. It takes lot of research and know-how, and a generous budget to really do it right.